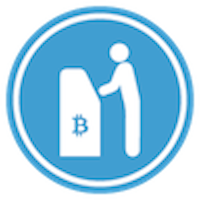 With Pelicoin's secure network of Bitcoin ATMs, buying Bitcoin and other cryptocurrencies has never been easier. Stop at any of our Bitcoin ATMs throughout the Gulf South to purchase Bitcoin (BTC), Litecoin (LTC), or Ethereum (ETH). This ATM is located in Benny's Car Wash and Oil Change on Airline Highway in Baton Rouge. Cryptocurrencies such as Bitcoin have exploded in popularity, and for good reason. These digital currencies employ strong encryption techniques that can give users greater privacy and security against theft or fraud than most traditional currencies. In addition to being exceptionally safe, many cryptocurrencies have risen in value, allowing some savvy users to make small fortunes. How you choose to use your Bitcoin, Litecoin, or Ethereum is up to you. Our business makes sure you can acquire cryptocurrency as quickly and conveniently as possible. Pelicoin provides Bitcoin ATMs in a variety of locations in Louisiana. All our machines are installed in friendly, trusted stores that are open late or 24 hours a day. Pelicoin ATMs are just as simple to use as any standard ATM, so it's easy to convert your cash into cryptocurrency. Stop by this Baton Rouge Bitcoin ATM to get Bitcoin, Litecoin, or Ethereum today.